If anyone has any other spectacular light shows to add to the list, by all means email me at karen@visitfingerlakes and I’ll add them to this list. 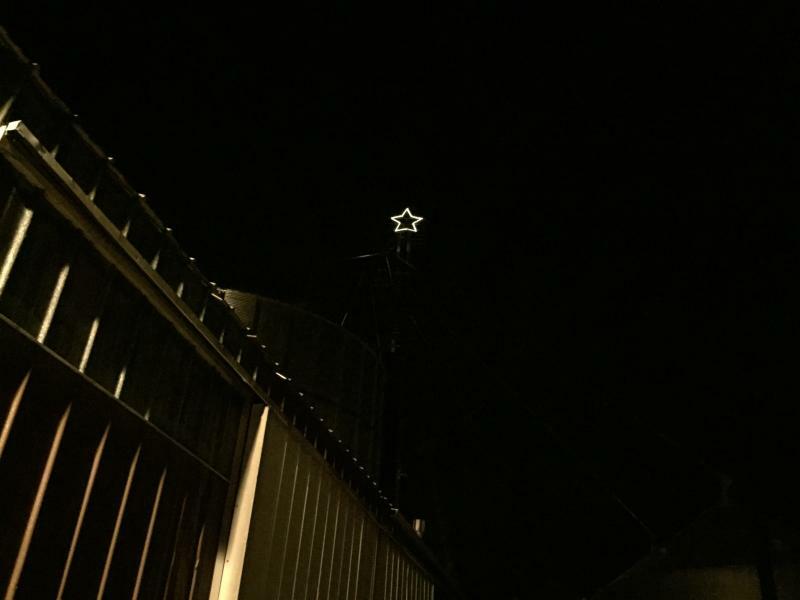 This sixth-generation farm has been lighting a giant star on top of a grain leg that leads grains into storage bins. The Brocklebank family has been putting the star here since 1980. It hangs 115 feet high. Such simplicity is touching and elegant. 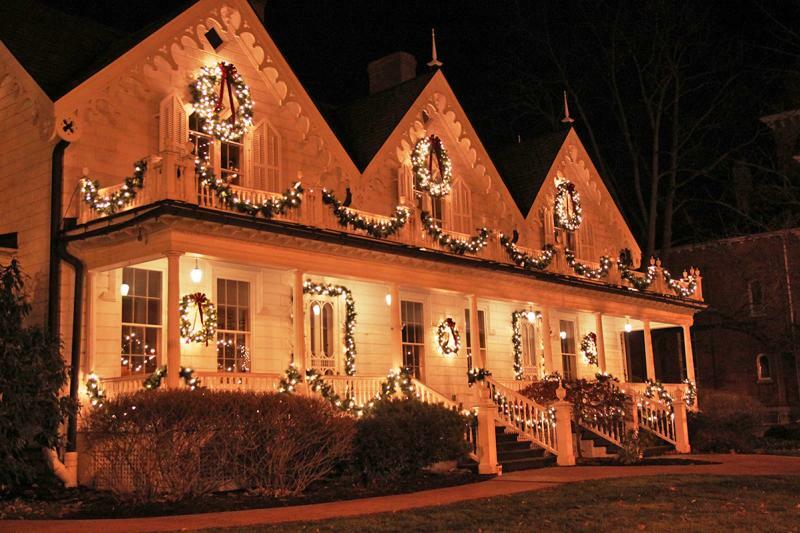 The village of Clifton Springs is charming any time of the year, but when downtown is aglow in holiday lights and decorations, it is especially darling. Take a short detour on Pleasant Street (right off of Main, near the hospital) and you’ll be treated to many well-decorated homes. Below is a photo of the Foster Cottage Museum in Clifton Springs. 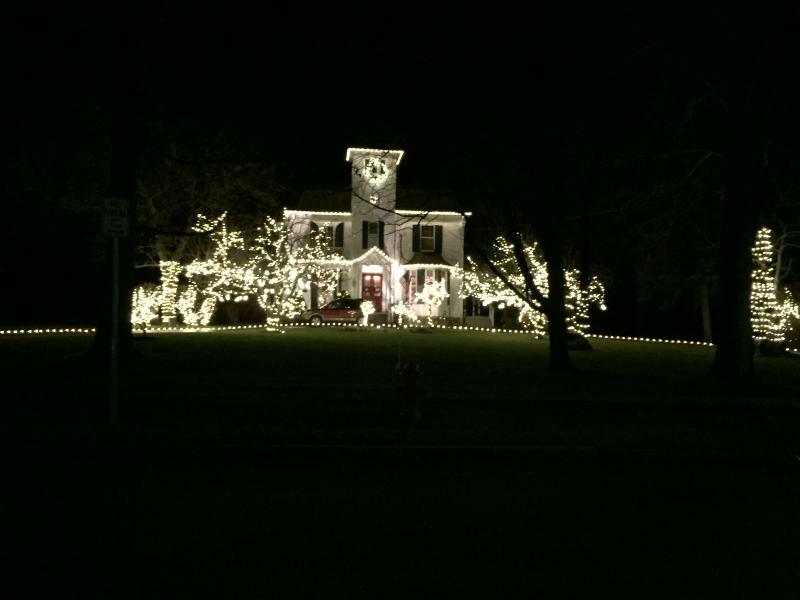 Our friend Jamie Noga of the Clifton Springs Area Chamber of Commerce tells me that driving along County Road 19 between Route 21 and County Road 13 has many decorated homes. I believe, I believe. Also recommended my our friend Jamie: A drive down Howell Street in Canandaigua. It has a view of Circle Drive, which is worth the "detour" to see one place in particular close-up. Below is a snapshot I took of one particularly handsome home. The Canandaigua Chamber of Commerce hosts a Light Up Canandaigua tour of houses and businesses that do a great job accessorizing for the holidays. This year’s tour is over, but you can click here for a list of addresses and a map of the tour destinations. After the sun sets, park your car at the Ramada Geneva Lakefront and take a 5-minute walk to the end of Long Pier on Seneca Lake. It&apos;s like gliding along a runway into the quiet night. Your destination: A full lit tree at the end. 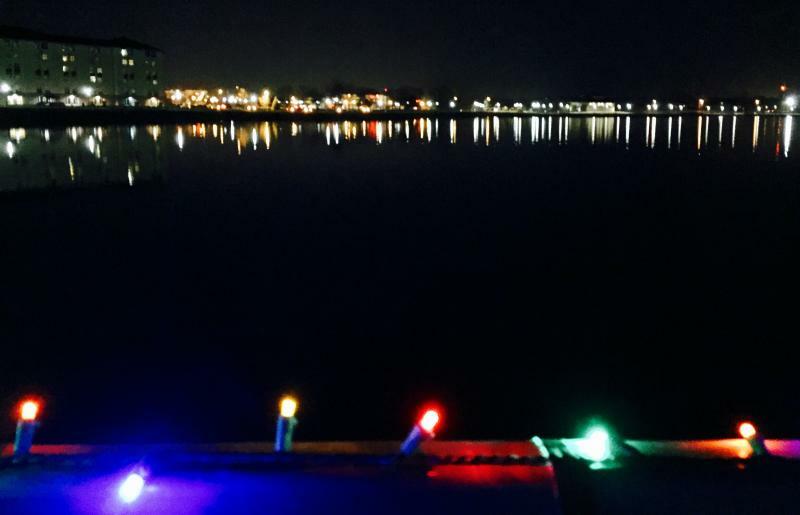 On your walk back, you&apos;ll see the lights of downtown Geneva sparkling beyond the water. 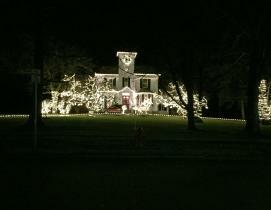 Imagine a dozen houses blazing with all these flashing bulbs, synchronized to more than a dozen holiday songs. That’s what you’ll experience in this suburban neighborhood when you tune your car radio to 91.1 FM. Viewing times are 4:30 to 10:30 p.m. Sunday through Thursday, 4:30 to 11 p.m. Friday and Saturday through New Year’s Day. Donations will be taken at the above address for the family of Courtney Wagner, the local teen who died this fall of brain cancer. Here is a short video to give you an idea of what it’s like. As I write this blog, we are having very un-December-like weather. It&apos;s in the high 60s, the windows are open and forecasts for snow are nowhere in sight. So dreaming of a white Christmas may not be in the cards. A bright Christmas with lights? You bet.